What beautiful messes have you encountered lately? My Leek Potato Cheddar Melt was a beautiful mess. It didn’t turn out as planned. Snip, snip with kitchen sheers, into the VitaMix with some water and—voilà, fantastic puréed soup. I can’t tell you how to duplicate this wonderful Leek Potato Soup without starting with a beautiful mess—a Leek Potato Cheddar Melt. It’s so good, I’d use this circuitous method anytime to get the same results. your baking dish. Slice the remaining clean, tender part of the ends 1/2-inch thick. Blanch for 2 minutes, then dry and cool. 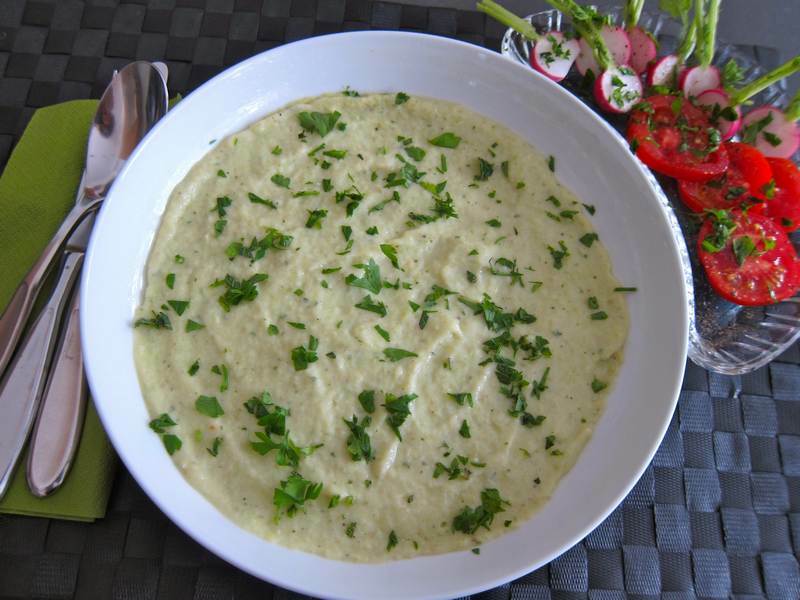 In a medium-sized bowl, beat the eggs with the milk, mustard, cheese, salt, pepper and garlic, then stir in the chives. Preheat oven to 350F. Coat a large baking dish with a little olive oil. Slice the potatoes into 1/4-inch thick slices and lay out 2 layers in the dish. Arrange the leeks as shown, on top of the potatoes. When the potatoes and the leeks are cool, spread the egg mixture over the top. Bake for 35 minutes. Let stand for 10 minutes before tasting and deciding whether to eat as is—or to chop it up and blend with water or soup stock to make a delicious Leek Potato Soup—or Vichyssoise. Garnish with chives or parsley. Serve hot, warm or cold. Serves 6. Can you share a success that began in failure? 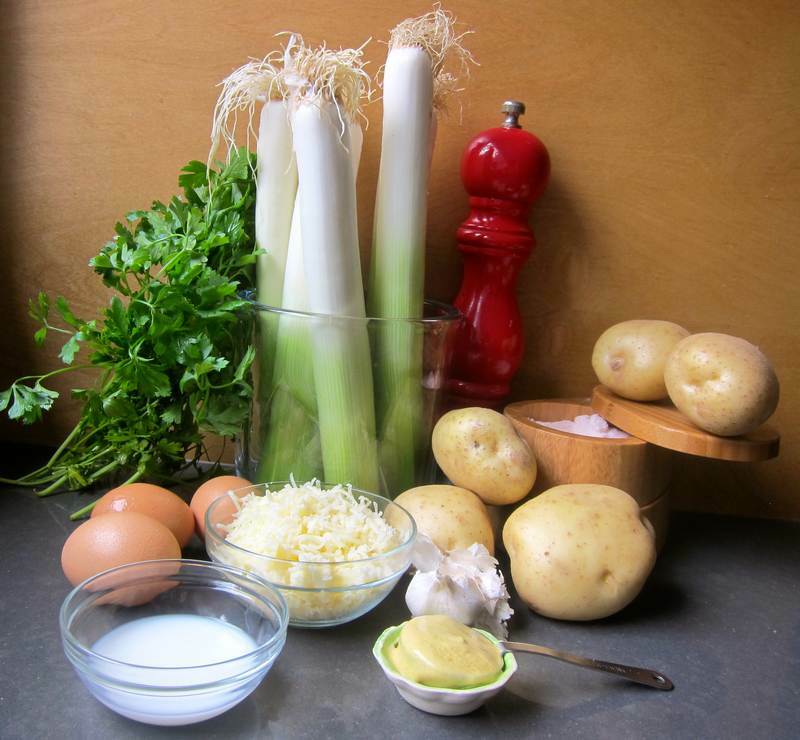 Leek and Potato Soup is one of the most common soups consumed in the British Isles. Perhaps this jittery beautiful mess of a soup recipe will follow Ava to Scotland. Happy Birthday Harriet-Sugar Miller! 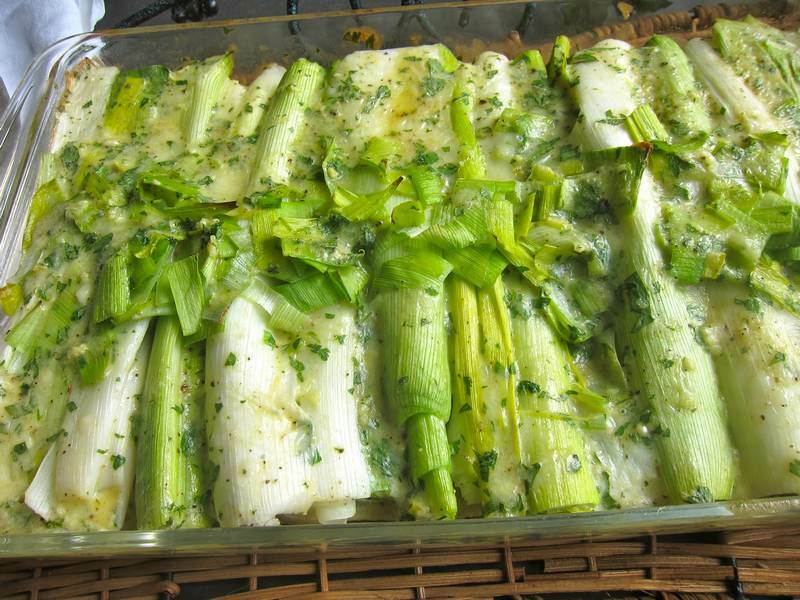 Looking forward to the completion of your book “Eat and Beat Cancer: How to Create an Anti-Cancer Kitchen“.” I know that leeks will be featured prominently. Thank you for all your hard work editing the beautiful mess I make of written English. Chop-chop! One of my favorite soups.I have never used eggs in such a recipe.I guess they help to thicken the soup. Looks delicious. I love this version! It is so thick and the flavour is perfect. Good day to you! I’ve never had this, but it looks and sounds delicious! Thanks! I’m quite sure that no one has ever had this. It’s a bizzaro way to make soup but it tastes great.